nice job on the contest – glad you like the prize. Keep up blogging! Congrats on your big win. I was about to ask from where do you find these contests, but you have answered it very well in the post. 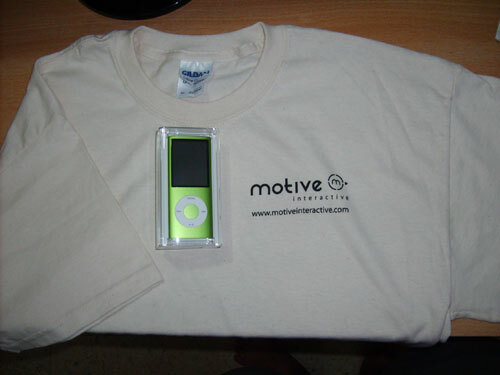 Thanks for introducing the Motive Interactive… I am going to join Motive Interactive for sure. Thanks for the info pal. Nice gear buddy… I wish I had one of those Ipods. Agree!! The color is very cute and the i-pod also!! ..Graphic Tees are highly popular right now for our age group 16-24, but simple logos on the front of the tee are not so great. Just a though, love the ipod btw. Congratz…i am with upeer one..!! That's the best type of prize to win, something useful as well as pretty. 🙂 Congratulations. Motive Interactive is an awesome company, they always treat their publishers and advertisers just right 😀 Congrats on your wins! I agree. They're a great company. Everyone I know that have dealt with them say the same thing too. Wow! That is really cool. I have one a couple of books online, but an iPod! Congratulations, and happy birthday! I agree. They’re a great company. Everyone I know that have dealt with them say the same thing too. 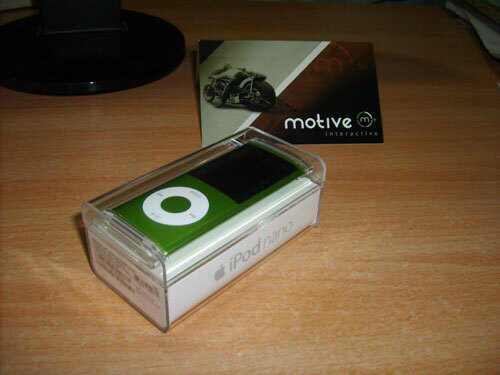 Motive is a great company. 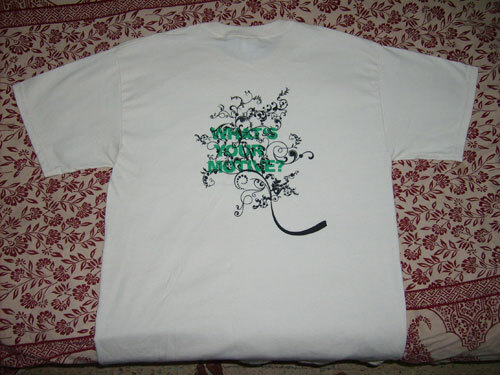 I really like the shirt they sent too. I am not sure why they put the weird holder on the shirt, but I guess it would be great to work out in. Motive has had a great rep for awhile now. Good business strategy they have. I was really impressed of their website interface. It’s very different compared to other CPA network sites. There is a different tab for everything. For example with one click I can see the offers, the offers I picked, the reports and my account. Congrats on winning your free ipad nano. I love winning things. That is a really cool bunch of prizes. I love that shade of green too, really suits the iPod nano quite well. Happy Belated Bday. The wordpress plugin looks great. You've certainly done a great job in the contest. Congratulation and happy belated birthday!